Retirement News > Retirement Planning > Articles > Retirement Taxes: Which Are the Most Tax Friendly States for Retirees? Looking for a great place to retire? Or, wondering if the state where you live is too expensive? Property values, cost of living and lifestyle issues are all important considerations when figuring out where to live. However, don’t forget to think about state taxes. Some states are more tax friendly for retirement than others. 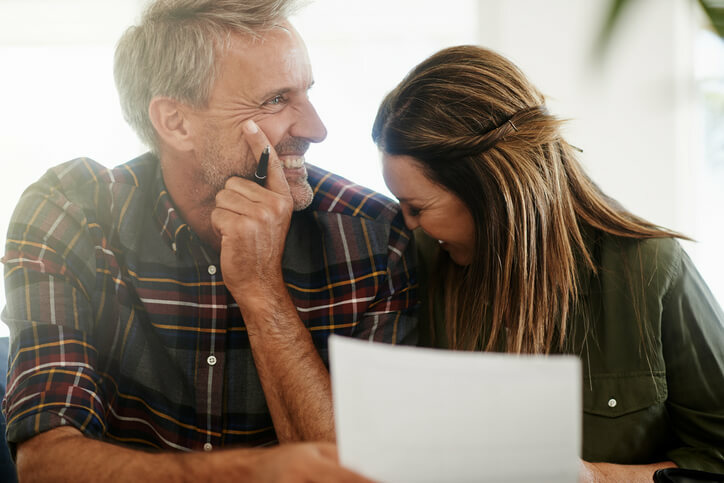 Explore more about retirement taxes below, discover the best states for taxes and review the income and sales tax rates in all 50 states. You could save significant money over your lifetime by really considering where you live and the location’s taxes. Not only are income tax rates different in every state, but different locations have different kinds of taxes. Income Tax: Income tax is usually the biggest concern. Interest and Dividends: Some states charge little in income taxes, but more for interest and dividends on assets. Sales Taxes: Other states charge high sales taxes while others charge nothing at all. California currently has the highest state-level sales tax rate at 7.25%. The lowest non-zero, state-level sales tax is in Colorado, which has a rate of 2.9 percent. Property Taxes: Property taxes, in addition to property values — can be dramatically different depending on your location. Estate Taxes: And, estate taxes also vary greatly from state to state. At the time of this writing, 12 states and the District of Columbia have estate taxes. Four states have an inheritance tax. Two states have both. So Which Are the Best States for Retirement Taxes? Well, the absolute best state for retirement taxes will depend a bit on your own financial profile. For example: If you will be leaving behind significant assets to heirs, avoid states with major estate taxes. Or, if you have valuable assets and will be earning sizable returns, then you might want to look for states with low taxes on interest and dividends. Low Tax State #1: Wyoming — The Most Tax Free! Wyoming tops the list of friendliest tax states for retirees. In fact, it’s one of the lowest tax states for residents of any age. Prescriptions are tax-free, and so are groceries. And if you own your own home, only 9.5 percent of the assessed value is subject to tax. Kiplinger explains that oil and mineral company revenues are what allow Wyoming to relieve the tax burden that residents of other states often carry. When it comes to all-around benefits, the “Equality State” is hard to beat. Wyoming is the only tax free state (no state income tax) to make the list of the lowest tax states for retirees. That is because other tax free states make up for the tax shortfall with particularly high property taxes, sales taxes or other taxes. However, Alaska, Florida, Nevada, South Dakota, Texas, Washington and Wyoming are also state income tax free. While Tennessee and New Hampshire only tax dividend and interest income. Mississippi is an especially good state for retirees. Many of the tax benefits are aimed at helping you keep more of your retirement income, and prescription drugs and health care are tax exempt. In Mississippi, Social Security is also exempt from state tax, and so are your pension, annuities, IRA, and 401(K) distributions. And while your home is taxed at 10 percent of its assessed value, retirees can qualify for the Homestead Exemption, which means the first $75,000 of its value is tax exempt. Coming in next on Kiplinger’s list of retiree tax-friendly states is Pennsylvania, which offers some great benefits. There’s no Social Security tax. And your pension, 401(K), IRA, and other tax-deferred retirement accounts are exempt. The necessities of life are also tax free, including food, clothing, and medications. But property taxes may be high in urban areas, and estate and inheritance taxes can pinch your heirs if the estate is worth at least $5 million. Kentucky is another state where retirees find a life that’s less burdened by taxes. Social Security isn’t taxed, and your retirement income from pensions, annuities, and other sources, up to $41,110 is also exempt. That’s per person, not per household. If you’re over 65, you’ll automatically qualify for a Homestead Exemption on part of your home’s value. And while there is an inheritance tax in Kentucky, everyone in your immediate family is exempt from the duty. Rounding out the top 5 tax-friendly states for retirees is Alabama. Alabama’s tax exemptions for retirees might be more exciting than a Talladega race day. If you have any type of pension at all, chances are it’s exempt. Specific examples include public and private pensions, and military pensions. Other income is subject to rates between 2 and 5 percent. Property taxes are another area where retirees are fortunate. Everyone over the age of 65 is except from state property tax, but some cities may impose it. And while prescription medication is tax free, the state sales tax is quite high, at 10 percent in some areas. Forty-three states levy individual income taxes. Forty-one tax wage and salary income, while two states—New Hampshire and Tennessee—exclusively tax dividend and interest income. Seven states levy no income tax at all. 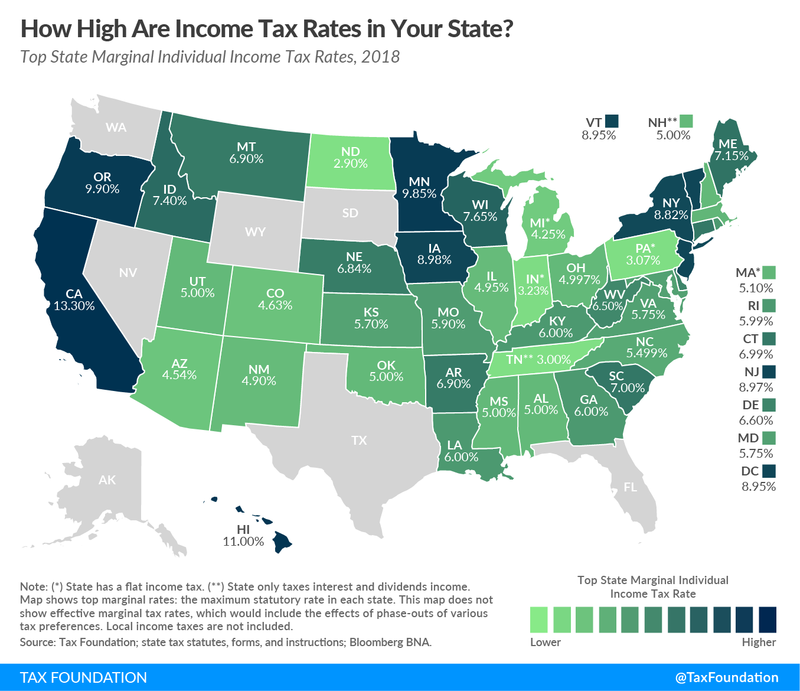 The five states with the highest average combined state and local sales tax rates are Tennessee (9.47 percent), Louisiana (9.45 percent), Arkansas (9.43 percent), Washington (9.17 percent), and Alabama (9.14 percent). 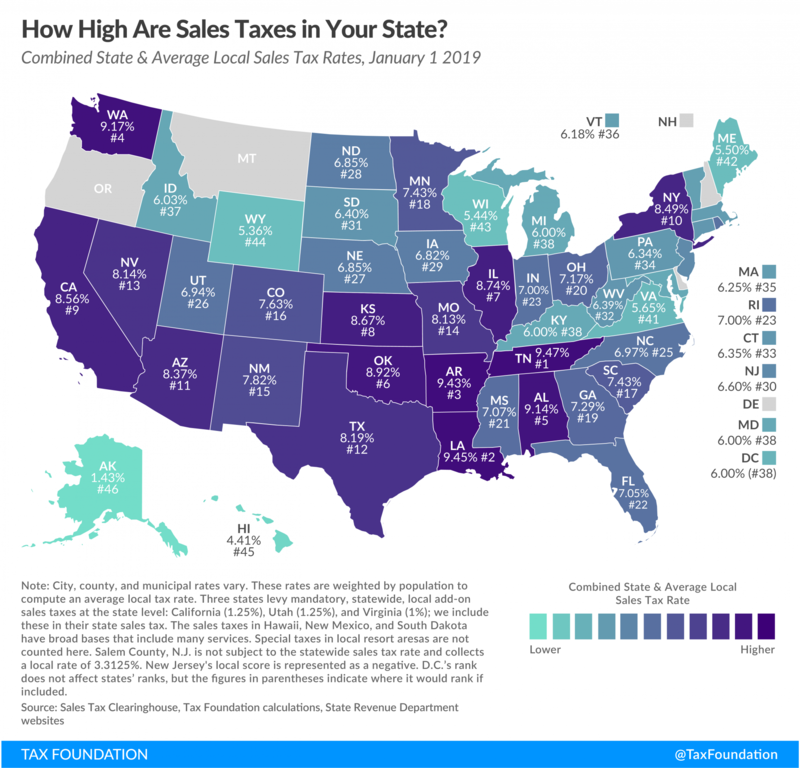 Find the sales tax rate in your state by using the map below. Filing your taxes for one year can feel overwhelming and unpleasant. Just thinking about tax planning for all of your retirement might seem an impossible feat. However, the NewRetirement Retirement Planner makes it easy to forecast taxes and optimize your retirement income, no matter where you live.